This fish is a new addition to the aquarium hobby. First described in 1928 by the Indian ichthyologist, Sunder Lal Hora. He named the fish after the collector, Dr B. N. Chopra. The fish was rediscovered by Mr. U Tin Win of the Hein Aquarium in 2000. It was mainly through the efforts of Mr. Tin Win that it was made available to the hobby, and rose in popularity so quickly. 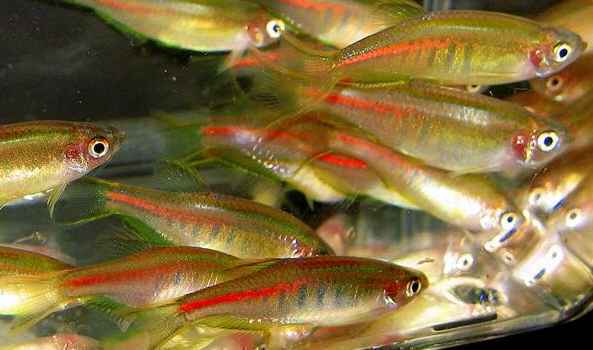 Practical Fishkeeping magazine in the UK lists Danio choprae as one of the 10 best fish for the beginning aquarist. There is a bit of confusion about the correct name of this fish. After first naming the fish Danio choprae, Sunder Lal Hora changed the name in 1937 to ‘choprai‘ stating that the original spelling had been an error. The ICZN disallowed the amendment of the original name and reinstated choprae as the accepted spelling of the name.